We’re all thinking of booking a sun holiday at the minute – if we haven’t done it already. The thought of soaking up the sun, drinking a cocktail or surfing a wave is an exciting one. At this stage we don’t always think of the more practical and sometime serious issues of foreign travel when planning our dream break. Have I bought the correct insurance? How will I access cash when abroad? How do I keep my belongings safe? Lost or stolen bags which can happen at any part of your journey. Cancellations or delays, or cutting your trip short for any reason. Personal liability, in the case that you are being sued for damage of property or causing injury. So, don’t forget to buy your travel insurance for exactly what you need and head off in peace! How much cash do you carry on holiday? The typical holidaymaker will carry twice as much cash around when on holiday than at home, meaning a lot of cash to keep an eye on! 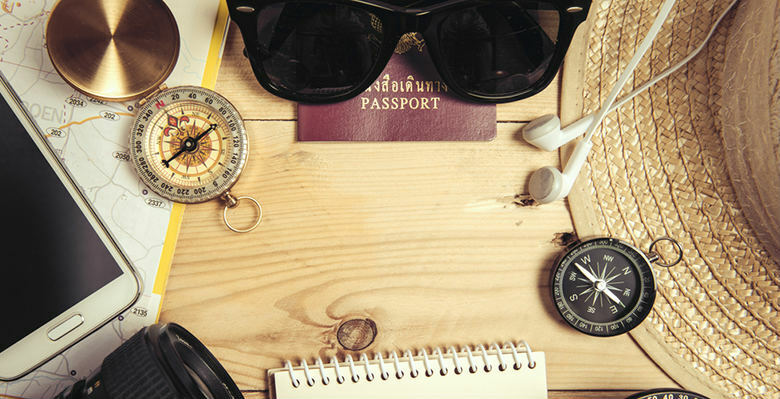 Yes, it is hard to estimate how much money you’ll need on holiday and it can be pricey to use debit and credit cards abroad. But, carrying a lot of cash puts you at higher risk of it being lost or stolen. Unknowingly travellers can be travelling with more cash than their insurers will pay out on, if they were to lose it or have it stolen. There are safer ways to take money abroad! Give pre-paid travel cards a go this year! Also known as currency cards, you simply load before you go and use them just as you would a debit card to spend or withdraw cash. The benefit of these cards is it allows you to keep control of your spending and you can sometimes get lock in exchange rates. Why not try a travel credit card? Get a specialist travel credit card and you can spend overseas knowing you’ve got a near-perfect exchange rate worldwide. Using your everyday card could result in hidden charges and charges for cash withdrawals. A quick bit of research online can get you a specialist card that helps avoid these charges, but remember to pay your card in full every month to avoid interest!